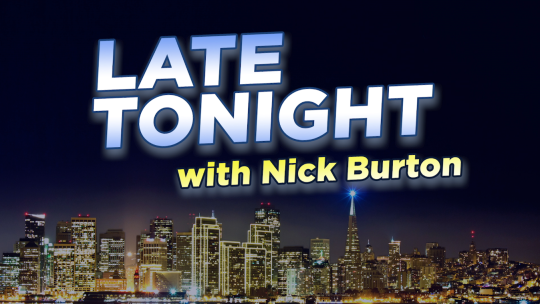 Recently divorced former doctor Nick Burton began his awkward journey to host his very own late night talk show with a second place debut in January 2017 for the power trio of Alex Kavutskiy, Dave Seger, & Davey Johnson. Nick went out with a bang and achieved his wildest dreams in a year ending finale. Late Tonight went on to win a slew of channies to close out the year including, Best Male Performer, Best Writing, Best Episode (#4) and Best Show. Nick auditions for a role on a big Hollywood sitcom.